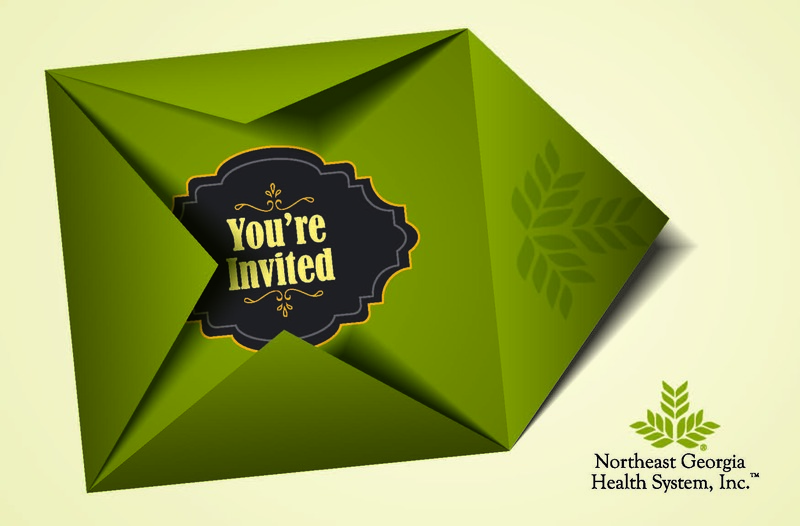 Northeast Georgia Health System was getting ready to open a new hospital (the first new hospital in Georgia in 20 years), and continue to properly staff their Gainesville hospital. Located just outside of Atlanta, NGHS is in an extremely completive market. Fusion Marketing Group decided on an aggressive strategy utilizing both on-site and off-site hiring events. 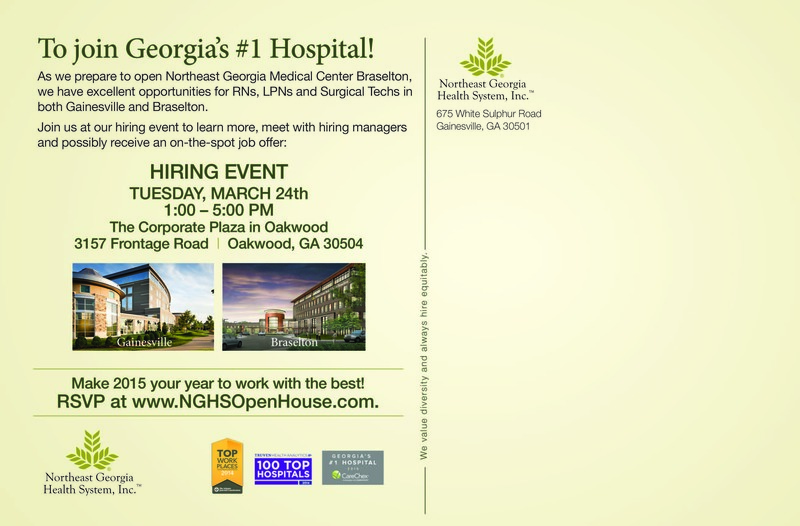 The combined five hiring events produced 43 RN hires and 11 LPN hires, contributing to the full staffing of the new Hospital – Northeast Georgia Medical Center Braselton. A series of 3 on-site hiring events paired with off-site hiring events in Greenville, SC and Savannah, GA. These off-site locations were determined through the use of Fusion’s Advance Analytics which was able to determine which geo markets produced the most RN job searches and applications. To support the out of market hiring events (Greenville, SC and Savannah, GA) Fusion's Target solution was implemented to deliver a unique message to any career website visitors from those locations prior to the event. 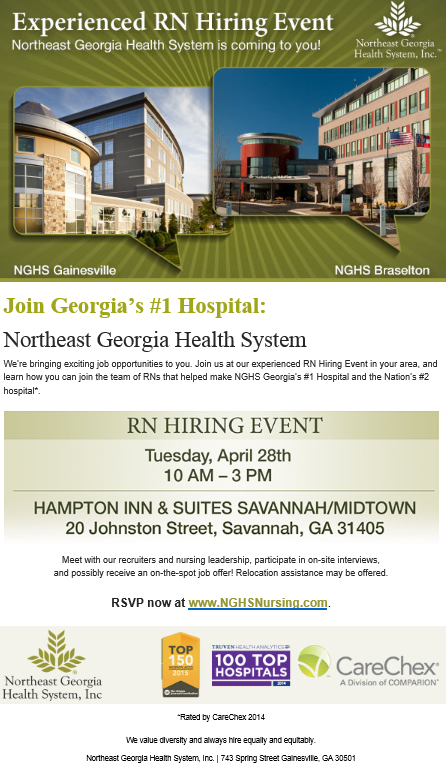 Fusion recommend NGHS add a job for the Open House in the NGHS applicant tracking system (ATS). That way, the job was scraped to vertical job search engines such as Indeed and SimplyHired. It also went from there to aggregated job boards.